Olives, bread, meat and wine: it is deceptively easy to evoke ancient Greece and Rome through a few items of food and drink. But how were their tastes different from ours? How did they understand the sense of taste itself, in relation to their own bodies and to other modes of sensory experience? This volume, the first of its kind to explore the ancient sense of taste, draws on the literature, philosophy, history and archaeology of Greco-Roman antiquity to provide answers to these central questions. By surveying and probing the literary and material remains from the Archaic period to late antiquity, contributors investigate the cultural and intellectual development towards attitudes and theories about taste. These specially commissioned chapters also open a window onto ancient thinking about perception and the body. Importantly, these authors go beyond exploring the functional significance of taste to uncover its value and meaning in the actions, thoughts and words of the Greeks and Romans. 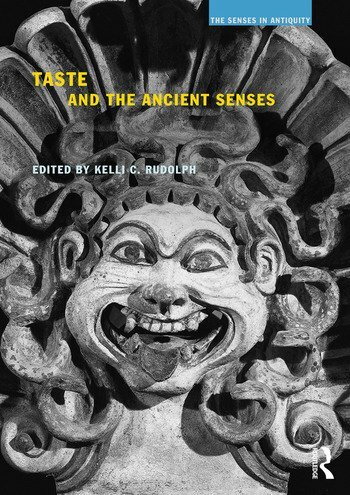 Taste and the Ancient Senses presents a full range of interpretative approaches to the gustatory sense, and provides an indispensable resource for students and scholars of classical antiquity and sensory studies. Kelli C. Rudolph is Lecturer in Classics and Philosophy at the University of Kent, Canterbury. She has research interests in ancient perceptual theories and the relationship between Presocratic and Hellenistic philosophy, and is currently working on theoretical approaches to the senses in antiquity. Taste is the most corporeal of senses, requiring not only direct physical contact, but the ingestion of substances that will become part of ourselves. Thanks to its association with "low" bodily functions, taste has commonly been held in low regard by idealizing philosophers and other theorists. This multidisciplinary volume, with contributions from historians, literary critics, and material culture specialists, seeks to redress this imbalance through an engaging exploration of the distinctive qualities, characteristics, and experiences of taste in ancient Greece and Rome. It offers much to ruminate on for readers interested in almost any aspect of the ancient world, food history, or the history of the senses.